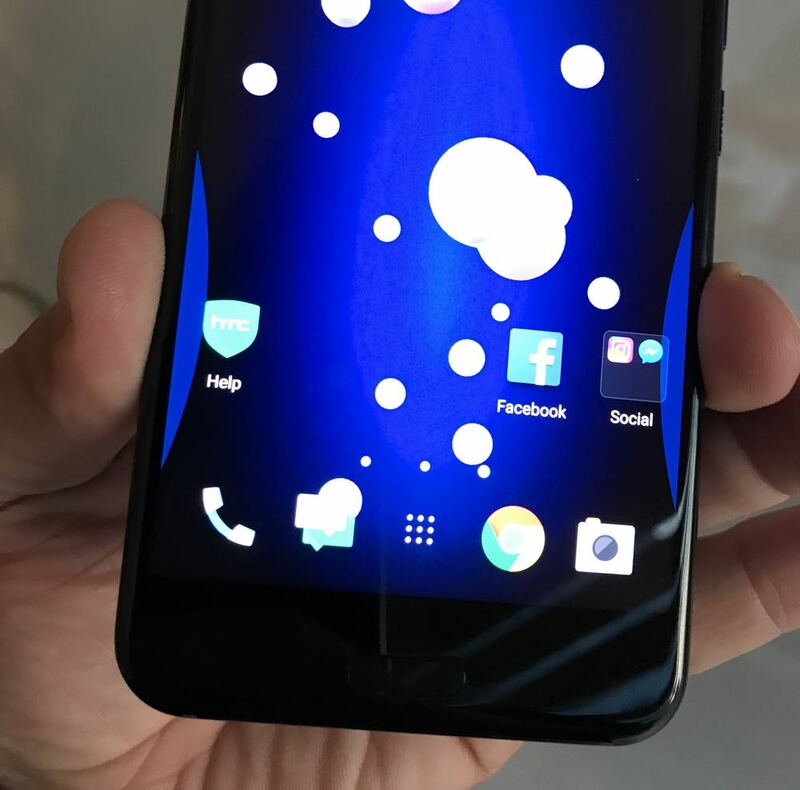 Tech Guide got its hands on the new HTC U11 smartphone and that takes on a whole new meaning when you’re talking about a device that responds to how hard you squeeze it. The headline feature is Edge Sense which means a gentle squeeze can help get things done. The product itself is beautifully designed with the light bending liquid surface design and a nicely curved back panel that sits comfortably in your hand. It has a 5.5-inch quad-HD display that’s impressively sharp and bright. Below the screen is a physical home button that also acts as the device’s fingerprint reader. 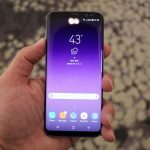 But it’s the Edge Sense that really changes the way you interact with the phone. These sensors are located along the bottom edges on each side of the screen – right where your fingers would naturally be when you’re holding the phone. 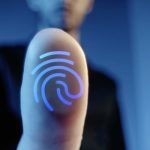 We’ve gone from tactile keys to touchscreens and this offers an all-new way for the user to engage with the smartphone. When you actually put the squeeze on the device, and on-screen indicator shows you just how hard you’re pressing. You can also feel a small vibration when Edge Sense is engaged. This can be adjusted in the settings to suit each individual user. It’s also possible to set the apps and functions you would like to engage with this new squeeze functionality. For us using Edge Sense with the camera was a no-brainer. One long squeeze activates the camera and then a short squeeze lets you take a photo. 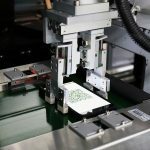 So, this means you can take a photo in seconds without taking your fingers off the edge of the device. It’s not too far removed from the way we used to take photos with a regular camera where the shutter button was located on top of the device. And for selfies it’s even better. When you’re lining up your photo your fingers are usually top and bottom of the screen. With the HTC U11, you don’t have to disturb the framing of your photo to hit the shutter button – all you need to do is give it a gentle squeeze. And squeezing to take a photo also allows users to take pictures when they previously weren’t able to like underwater or when your wearing gloves. But Edge Sense doesn’t stop with the camera. The long and short squeeze can be used to open apps as well. These can be chosen in the settings. It would make sense that the apps we use most often, like email for example, could be set as a shortcut through Edge Sense. So, will it would take is a little squeeze to be instantly reading your emails. The same thing could apply to activate Google Assistant or a favourite social media app. 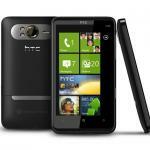 HTC says it will release an SDK (Software Developers Kit) to allow app creators to incorporate this functionality. There may also be a facility for users to replace default actions on various apps with a squeeze using Edge Sense rather than having developers rewrite code to adjust to this feature. 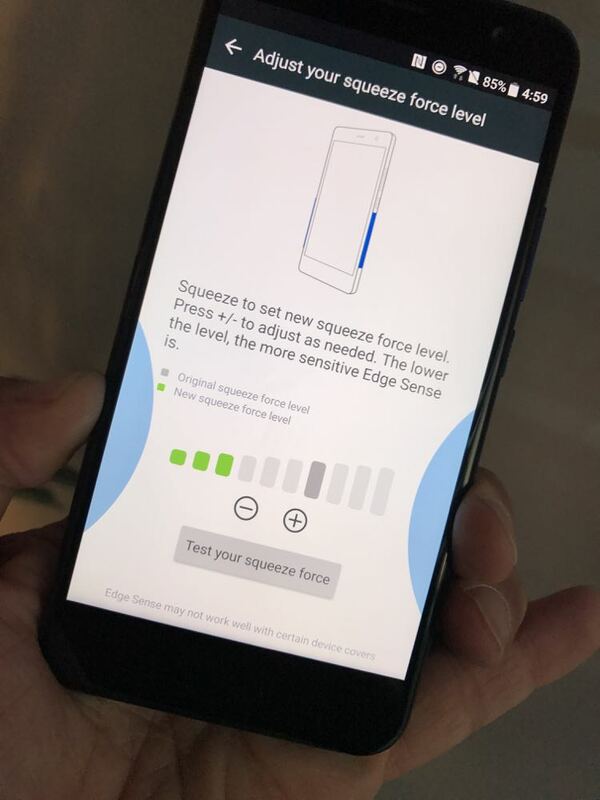 Edge Sense is a handy new feature but time will tell whether developers will create apps specifically for HTC’s U11 if the squeeze functionality isn’t adopted by other manufacturers. 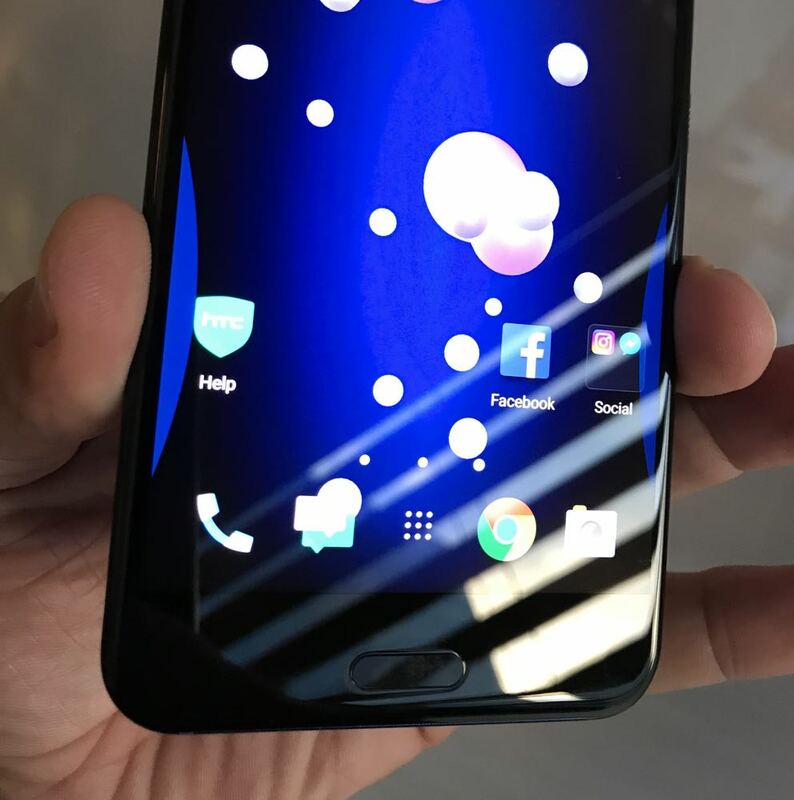 Apart from Edge Sense, there is a lot to like about the HTC U11. 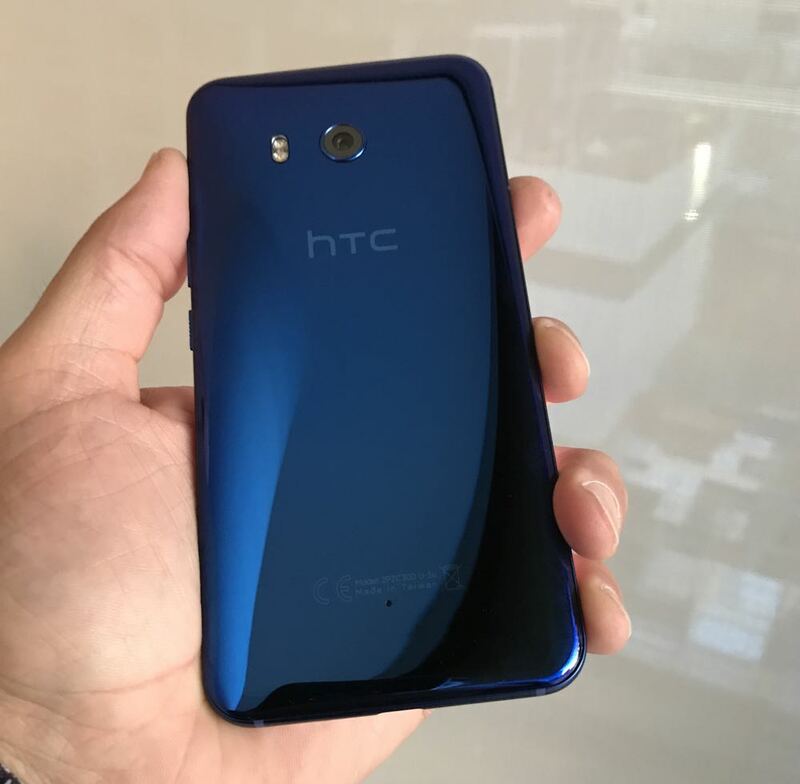 The company is back on track with its camera quality and the HTC U11 has taken that to the next level. Its 12-megapixel Ultra-Pixel sensor captures accurate colour and contrast and can shoot great images in low light. 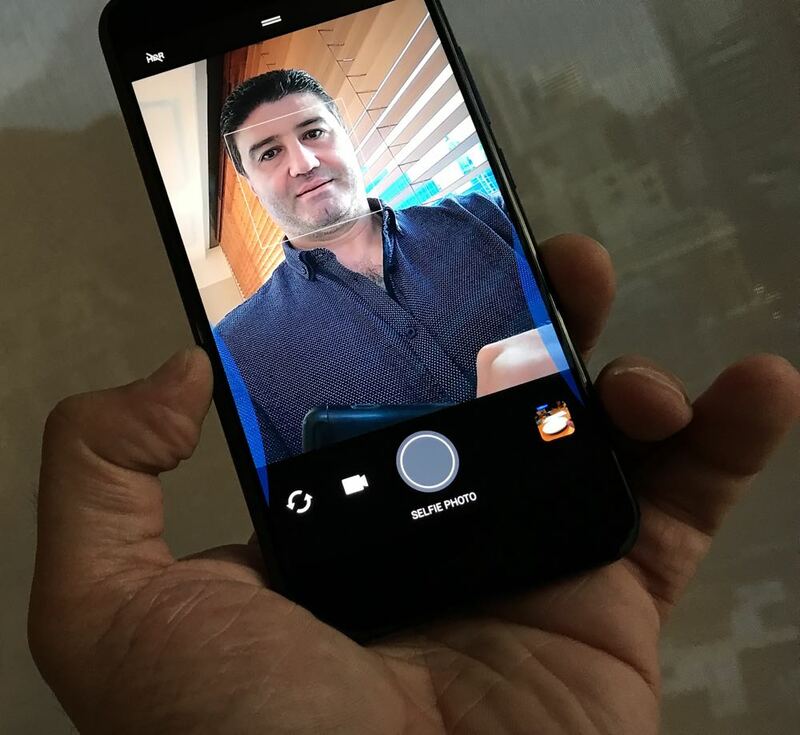 You get an even higher 16-megapixel resolution on the front facing camera. And with HTC making it even easier to take your photos with Edge Sense, the camera is sure to be used more than ever before. 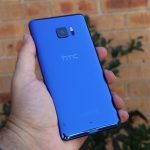 Another standout feature of the HTC U11 is the remarkable audio quality. 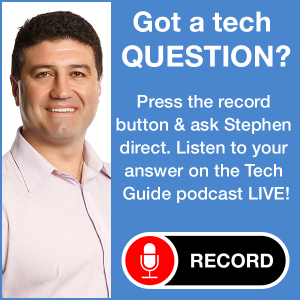 It is capable of Hi-Res audio playback and comes with active noise cancellation. The included earphones plug into the devices USB-C port with the noise cancellation handled by the device itself. The advantage of this is that you don’t have to worry about charging the headphones – they are ready to listen with noise cancellation at any time – as long as the HTC U11 is charged. But that’s not even the best part. 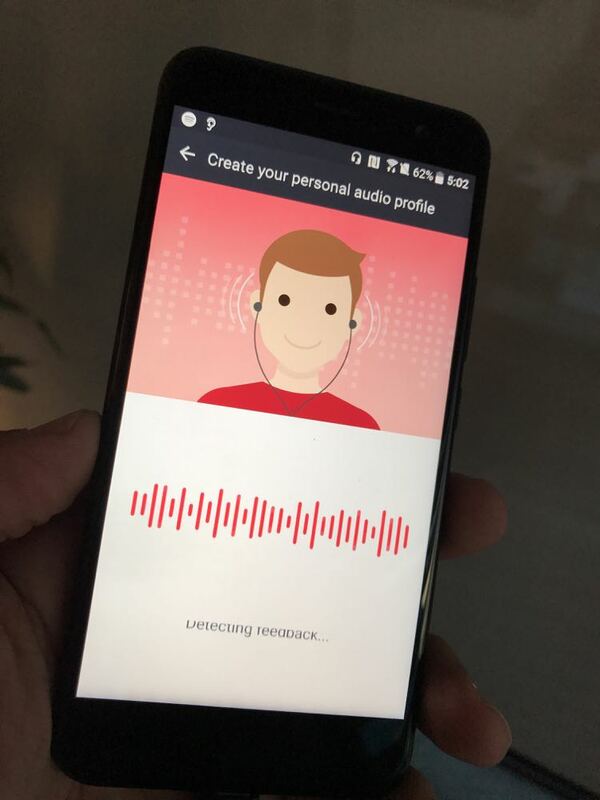 The HTC USonic feature means the audio quality can be optimised to the way you hear sound. 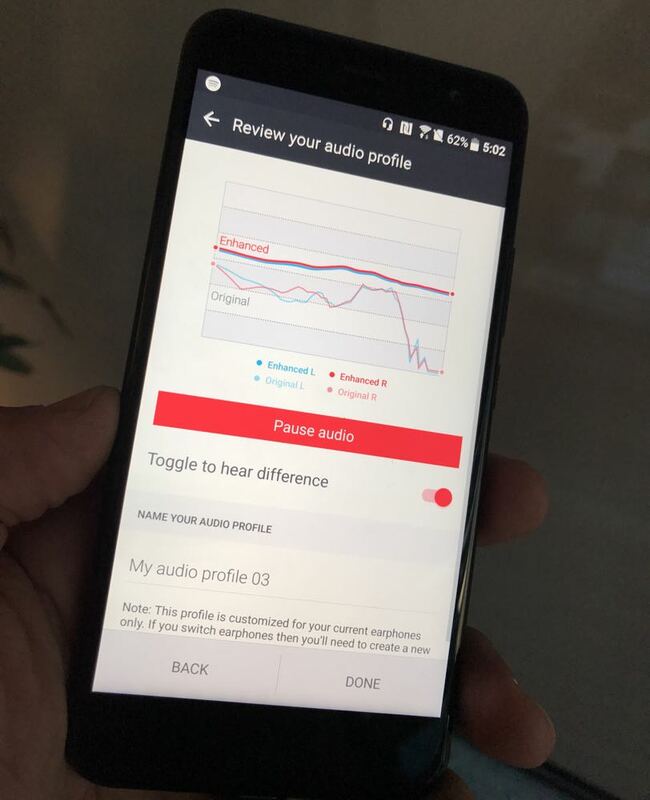 And it takes just seconds to create your own sound profile. With the earphones on, a user will hear a noise which is used to map your inner ear. Once completed, the difference in audio quality is incredible. The only downside here is it only works with the HTC earphones that connect with USB-C. This feature won’t work wirelessly with Bluetooth earphones. 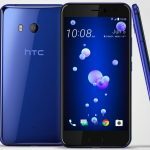 Under the hood, the HTC U11 is also quite impressive with the Qualcomm Snapdragon 835 64-bit octa-core processor. This not only makes the device fast, it also makes it more efficient so the 3000mAh battery will last even longer. And even when it’s time to recharge, the fast charging functionality will get you up and running again in minutes, not hours. 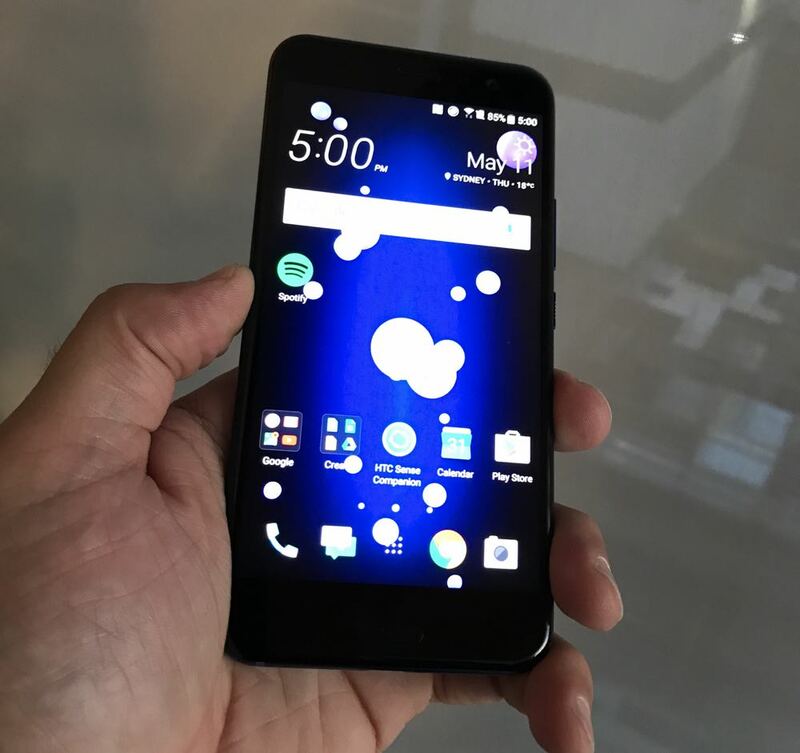 Overall the HTC U11 is an impressive and could just be the hit device the company has so diligently been working towards.